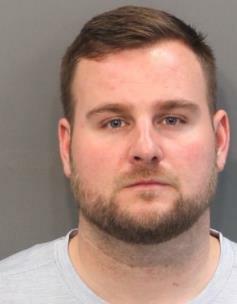 A former assistant football coach at Grace Baptist Academy has been indicted on several charges, including exploitation of a minor by electronic means, sexual battery by an authority figure, and sexual contact by an authority figure. James Everett Barker, Jr., 30, of 507 Farmway Dr., Cleveland, is charged with unlawfully engaging in sexual contact with a minor between Oct. 28 and Nov. 12 of 2018. He is also charged with communicating with the minor by electronic means. The indictment says the minor was between the ages of 13 and 18. Barker was arrested March 15 and has made bond. School officials said Barker was fired last fall.